Whether you’re a teenager or an adult, misaligned teeth or jaws can be painful and embarrassing. If you’re suffering from an overbite, underbite, crowded teeth, or any other sort of alignment issue, reach out to the orthodontists at Wesmark Family Dentistry in Sumter, South Carolina. 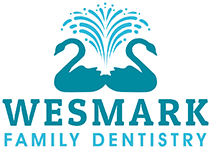 The orthodontists at Wesmark Family Dentistry offer treatment and care options for patients of all ages. To get a beautiful new smile, book an appointment online or over the phone today. Orthodontics is the field of dental care that deals specifically with the diagnosis, treatment, correction, and prevention of bad bites. Orthodontists aim to give their patients straight teeth and well-aligned bites. A healthy smile can help you eat, talk, and chew. It can also help alleviate jaw pain, jaw clenching, teeth grinding, and other issues. No! Healthy teeth are important at any age, and it’s never too late to see an orthodontist. Technology has improved a lot over the years. Today, orthodontists offer a wide range of dignified and age-appropriate solutions for their patients. In the United States, about one out of every five orthodontic patients is an adult. The orthodontists at Wesmark Family Dentistry want men and women, including those ages 50 and up, to know they’re welcome. How do orthodontists diagnose a misalignment? First, your orthodontist will ask about your medical and dental history. Then they will perform a dental exam, which will include taking X-rays of your mouth and making a plaster mold of your teeth. Once your orthodontist has completed the exam, they will study the results, pinpoint any issues, and go over treatment options with you. How do orthodontists correct a misalignment? The orthodontists at Wesmark Family Dentistry use a variety of modern tools and techniques to correct tooth and jaw misalignment. Can my orthodontist screen me for oral cancer? Yes. Your orthodontist can screen you during your oral exam. The Wesmark Family Dentistry team conducts oral cancer screening using VELscope®, a fluorescent light that effectively detects premalignant and malignant lesions. VELscope is noninvasive, but if your orthodontist finds any lesions, they will perform a biopsy. If you’re ready to get the beautiful smile you’ve always wanted, or if you don’t want to live in pain from misalignment any longer, reach out to the orthodontists at Wesmark Family Dentistry. 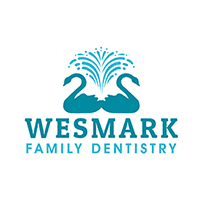 No matter your age or budget, Wesmark Family Dentistry will work with you. To schedule your consultation, book an appointment online or over the phone.